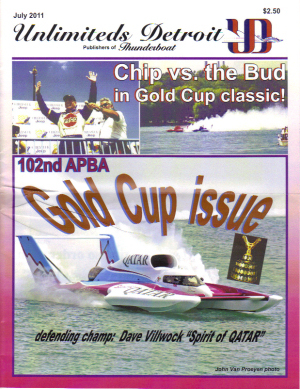 Get 10 issues of the best magazine that covers Unlimited Hydroplane racing for just $30/year . Gold Cup Seating for U.D. where a limited set of Gold Cup tickets are available to members for reserved seating at the most exciting race on the circuit. Annual Holiday Party and Auction! Talk about fun! Wait until you see the annual auction at the annual U.D. Holiday Party, where you'll find tons of rare and interesting hydroplane memorabilia up for bid. Membership plans start at just $30 per year for an Indivdual Membership. 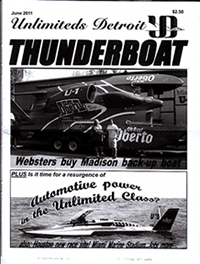 Your membership includes 10 issues of Thunderboat Magazine, THE magazine for Unlimited Hydroplane racing fans! Two year and Family membership plans are also available. Becoming a member is an ideal way to support the sport of hydroplane racing while getting a great magazine for yourself!